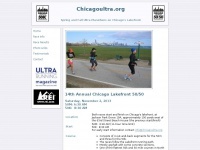 The web server with the IP-address 206.188.192.165 used by Chicagoultra.org is owned by Network Solutions, LLC and is located in Jacksonville, USA. 57 other websites are located on this web server. Most of them are provided in the english language. Only a few websites on this web server are x-rated.